A new breed of warmth, The North Face Thermoball™ insulation is powered by PrimaLoft, and is able to keep your daughter warm, even when it gets wet. 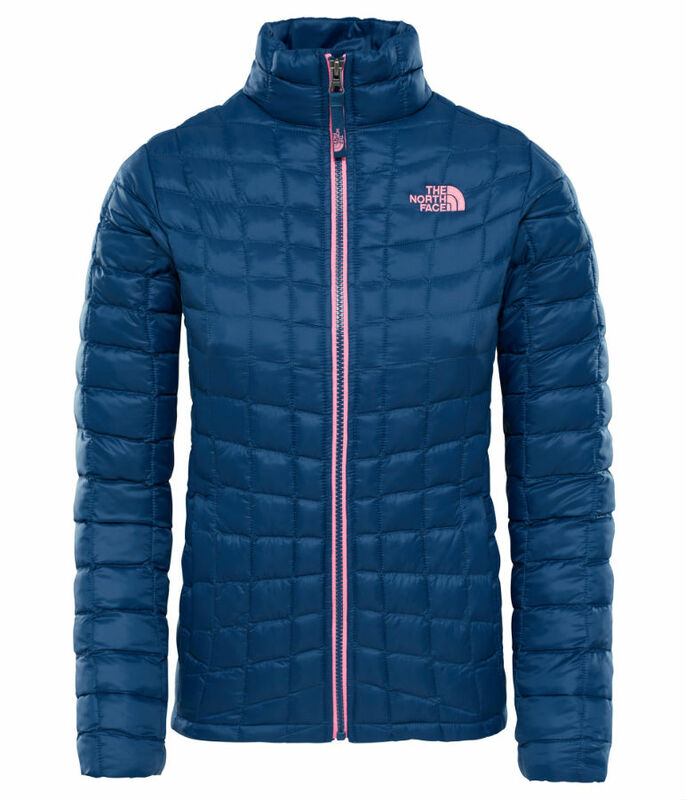 Easy to care for, superbly light and a joy to wear, The North Face Girl's Thermoball. A new breed of warmth, The North Face Thermoball™ insulation is powered by PrimaLoft, and is able to keep your daughter warm, even when it gets wet. Easy to care for, superbly light and a joy to wear, The North Face Girl's Thermoball™ Jacket is perfect for unpredictable British weather as a stand-alone warm coat, or pair it with a Ski Jacket or Waterproof Jacket for a super warm, protective set. 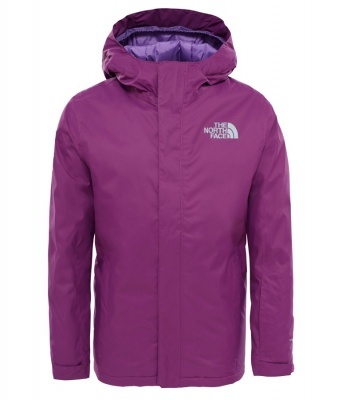 The North Face Girl's Thermoball™ Jacket's outer fabric is highly water-resistant and windproof, as well as being very breathable, so the ThermoBall™ is a stupendous choice of jacket to take on a skiing holiday. She can wear it alone for spring skiing, and in the depths of winter, combine it with her Ski Jacket for the ultimate cold-weather, super-warm mid-layer. The silky feeling outer fabric is luxurious, but durable and practical too. The North Face Girl's Thermoball™ Jacket has two zipped hand pockets, providing shelter for chilly digits, a spot for a tissue and other small treasures. A pretty contrast lining throughout the body. Being so light and compressible, The North Face Girl's Thermoball Jacket can squish up into a tiny corner of her pack, when she doesn't need it on. Because she is never in one place, never doing one thing. The North Face Girl's Thermoball™ Jacket provides maximum comfort in a whole host of circumstances, across a broad spectrum of weather conditions. This smart and stylish 'GoTo' Girl's Jacket will be one she grabs off the peg every time. 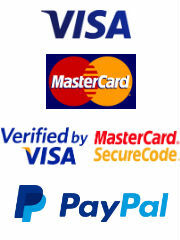 Over the years and from our own experience we have found the following age size guide of help. 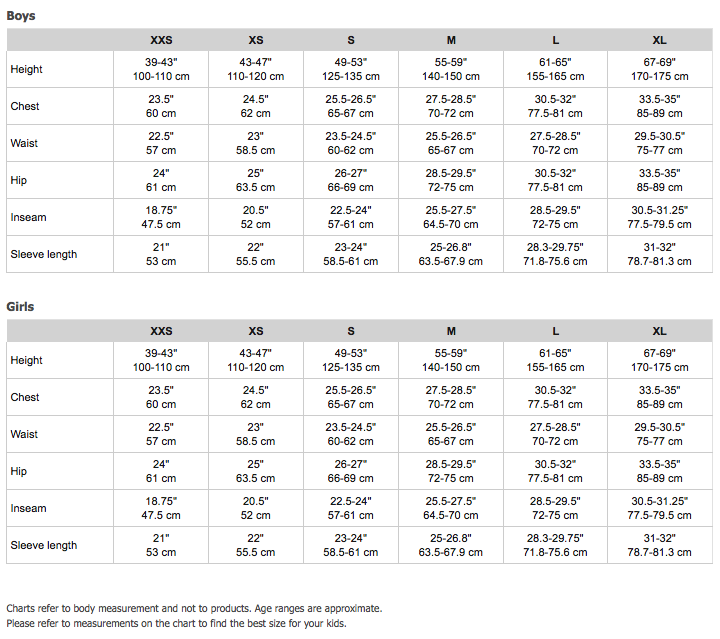 The size charts below have been provided to us by The North Face.